Debbie Cook maintains an active adventurous, and artistic lifestyle through her passions for travel, scuba diving, dancing, and horses. Growing up on a ranch, Debbie learned a lot about the land around her and also raised a variety of farm animals including horses, cattle, and sheep. Being active with 4-H, a community organization for youth, she had many opportunities to try new activities and develop teamwork and leadership skills. With 4-H she also attended horse shows, displaying and competing at the Ravalli County Fair. During high school, Debbie Cook was active in the school concert band, jazz band, as well as theater, both onstage and behind the scenes. She also found an interest in country western dancing which has developed into one of her greatest life passions and part of her career. For Debbie Cook, dancing is a way of life. She has mastered many different styles over the years but has always been particularly drawn to country and swing. 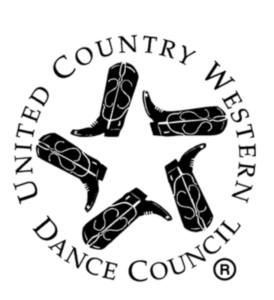 After gaining extensive experience as a dancer and competing with the United Country Western Dance Council, Debbie has gone on to gain professional status in the dancing world and has even opened up her own studio. She continues to compete and teach today while always continuing to learn herself. After high school, Debbie Cook went on to attend college in Socorro, New Mexico where she maintained her passion for showing horses. Working with a paint horse breeder, she won the Socorro County Fair Queen contest in 1983. Debbie is always looking for new challenges and adventures through dance, raising horses, or other activities she stumbles across. Even when vacationing Debbie is looking for new adventures. As an avid traveler, she loves exploring different cultures and historical sites and admiring beautiful scenery. While traveling in the late 80s, she discovered a new passion of hers in scuba diving. While on vacation Debbie Cook had the opportunity to scuba dive in many beautiful locations including Cozumel, the British and U.S. Virgin Islands as well as the ABS islands consisting of Aruba, Bonaire, and Curaçao. When Debbie is not traveling the world or performing at a horse show or dance competition, she enjoys sitting back and falling into a good book. Debbie will read anything from Ian Fleming to The Prince by Nicolo Machiavelli. Connect with Debbie Cook across social media to learn more about her passions for education, adventure, and making connections with the world around her.